Baader's # T2-23 # 1508015 adapter converts the external M42x1 threads of many Russian telescopes into an external M42x.75 T-2 thread. The M42 x 1 thread is also common to Pentax threaded camera lenses. The only thing I wish this had was an inside flange to allow SLR lenses without manual mode iris to work properly. (The Iris set pin cannot be pushed in to set the iris F stop for auto only lenses). This is an M42 (Universal 35mm camera lens mount) to T2 adapter. It has a female M42 thread for the lens and a male T2 thread for the camera body. 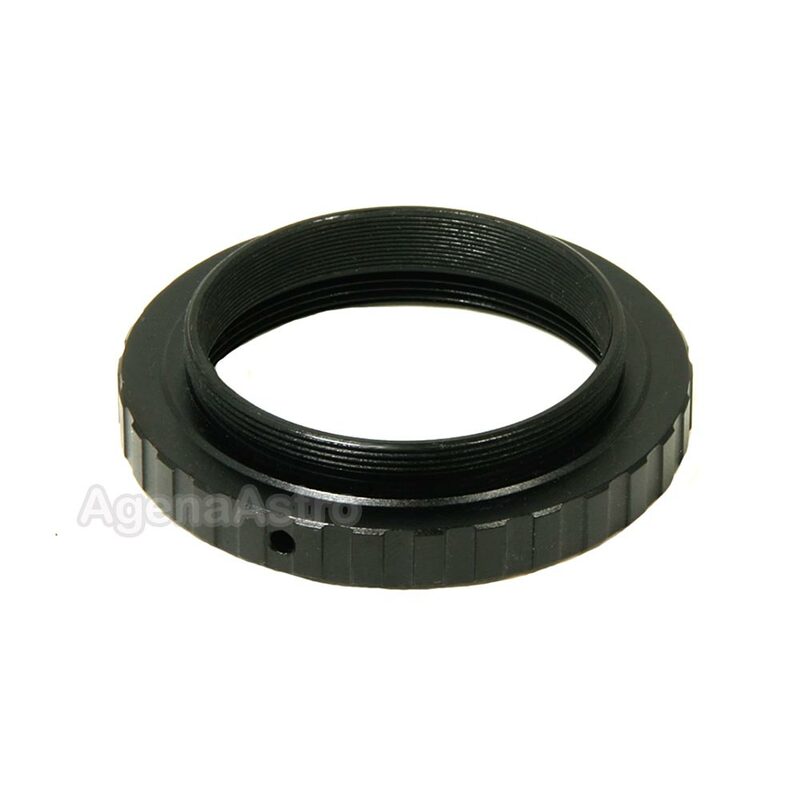 This item is a neccesity for anyone using 35mm M52 camera lenses for astro-photography. This item is made with Baader's usual excellent fit and finish. Since cameras and telescopes vary you will need to get the spacing correct, usually with a Baader T2 extension tube.